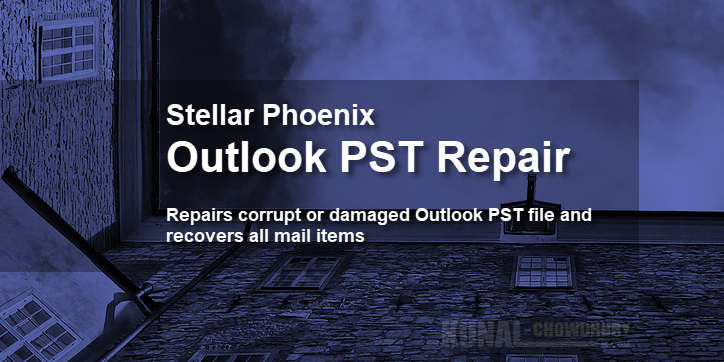 Stellar Phoenix Outlook PST Repair enables you to scan corrupt PST files and repair them to recover all their contents, that includes as e-mails, attachments, contacts, calendars, tasks, notes and journals. The repaired email items are then saved as a new usable PST which you can import into Microsoft Outlook directly. It also ensures recovery of accidentally deleted emails that you have emptied from the deleted items folder. Enables you to view messages in a 3-view format. Find option to search mails faster. Repairs e-mails, calendar entries, contacts, notes, tasks and journals from damaged PST files. Restores formatting from RTF and HTML messages. Repairs PST files larger than 2GB. Repaired file is saved as new PST file on any (including network) disk visible by the host operating system. Can save single mail messages in EML, MSG, RTF, HTML, and PDF format. Creates unique profile for individual PST files. Enhanced preview feature for calendars, tasks, journals and contacts. Support for MS Office 2016 / 2013 / 2010 / 2007 / 2003. Right-click option to save emails in any one of the following formats from preview section itself - MSG, EML, RTF, HTML, and PDF. Option to arrange scanned emails and messages as per Date, From, To, Subject, Type, Attachment, and Importance. You can also arrange the scanned emails in form of groups. 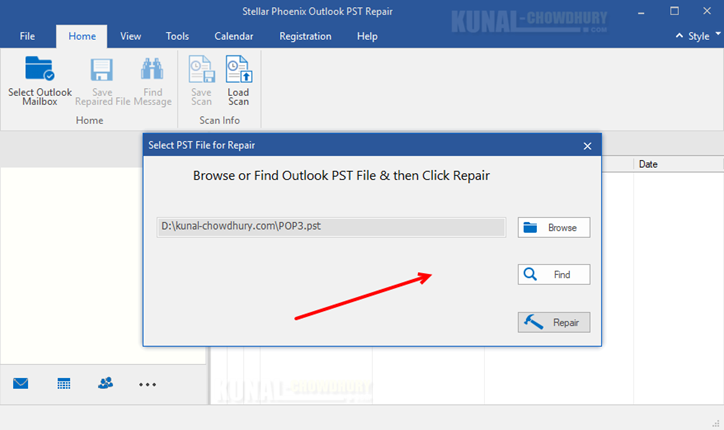 Stellar Phoenix Outlook PST Repair tool has a very simple Graphical User Interface (GUI) to help you started with browsing or finding your corrupted PST for repair. From the Select PST File for Repair dialog, click on the Browse button to select the PST that you want to repair. In case, you missed this dialog, you can relaunch it by navigating to Home | Select Outlook Mailbox. Once the selection is done, click on the Repair button to start the process to repair the damaged PST file that you selected above. 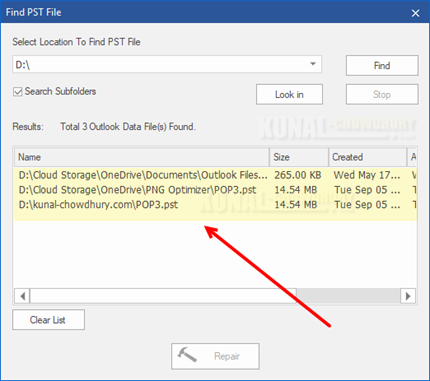 If you don't remember the location of your PST, you can easily search for it from the above Select PST File for Repair dialog. Click on the Find button to continue. Another dialog window will popup on the screen, where you can search a specific drive for the PST file. From the dropdown, select the desired drive and click Find button to continue. A list of available PSTs will be listed below, based on the availability at the selected path. Select the one that you want to repair and then click the Repair button to continue. 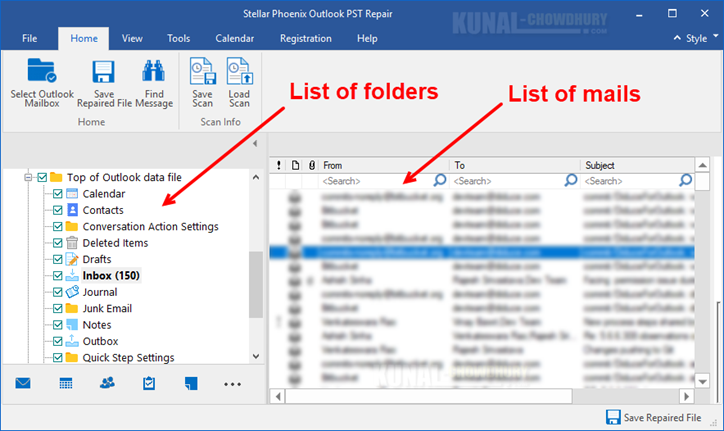 Once the Stellar Phoenix Outlook PST Repair tool repairs the PST, it will list out the folders and mails available in that PST file. If you want to find a mail in a specific folder, select it to retrieve the details. 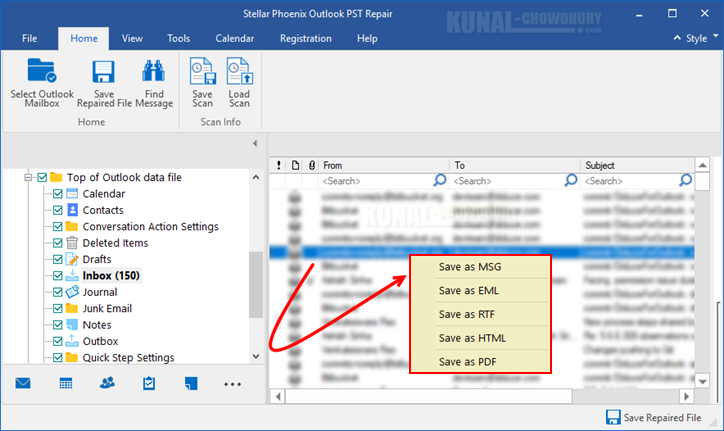 If you like to save any of the mails from the repaired PST file, you can right-click on it. A context menu will pop up on the screen, providing you an option to save it as a MSG, EML, RTF, HTML and/or PDF format. You can also save the entire list of repaired files. Just click on the Save Repaired File button available at the bottom-right corner of the screen. I have used other PST Repair tool, including the one that Microsoft provides. But, I feel that Stellar Phoenix Outlook PST Repair tool is the best among the others, as it provides a very simple UI with a perfect functionality. You can download the free version and give it a try! Grab it from here: https://www.stellarinfo.com/outlook-pst-file-recovery.php. If you have come this far, it means that you liked what you are reading (Restore corrupted PST files using Stellar Phoenix Outlook PST Repair).